Bass management is how your home theater manages low-frequency sounds. Better A/V receivers and other controller devices have several options for managing bass sounds in your system. If you have nice, big main speakers that have an effective bass range of their own (often called full-range speakers), you might pass all bass frequencies to them. 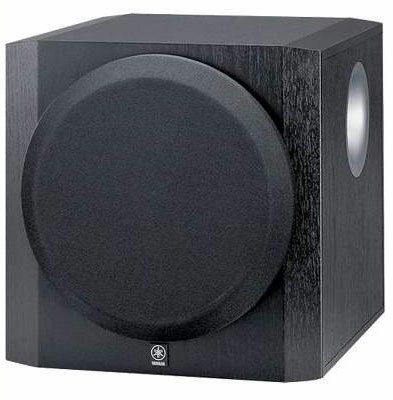 If you want smaller speakers that can sit on a shelf or hang on the wall alongside your plasma TV, the bass frequencies might fall to the subwoofer, which is a speaker designed to play low-frequency sounds. Look for an adjustable crossover feature in a subwoofer that lets you select which audio frequencies go to the subwoofer and which go to the main front speakers. Different speaker systems sound better with the crossover set at different frequencies. If you have small bookshelf speakers in the front, you might set the crossover to a higher frequency. If you have a set of huge tower speakers with giant woofers (bass speakers) of their own, you might set the crossover to a lower frequency and let the subwoofer concentrate on only the really deep sounds. The majority of subwoofers are active (they have their own built-in amplifiers). You need an output on your A/V receiver to connect a standard analog audio cable to the subwoofer. Most receivers have this output — it’s pretty much assured if you buy a Dolby Digital- or DTS-equipped receiver. One area that causes a lot of confusion is the difference between the Low Frequency Effect channel (LFE) — which is part of your movie/game/TV show soundtrack — and the physical subwoofer channel on your receiver or amplifier. The LFE channel is encoded in the soundtrack of a DVD or other surround-sound source; the subwoofer channel is the connection on the back of your A/V receiver that provides amplified low-frequency sound signals to your subwoofer. The LFE channel is encoded in surround-sound material — it’s the “.1” in 5.1 and other surround-sound formats. You don’t have to have a subwoofer to take advantage of the LFE channel because many normal left/right speakers can take these cues from your receiver and play the sound accordingly. But having a subwoofer gives you that stomach-rattling, vibrating-room effect at just the right times — an effect you’ll want to take advantage of.